From tiny parish churches and schools to great cathedrals and city halls we have supplied hundreds of individual bells. 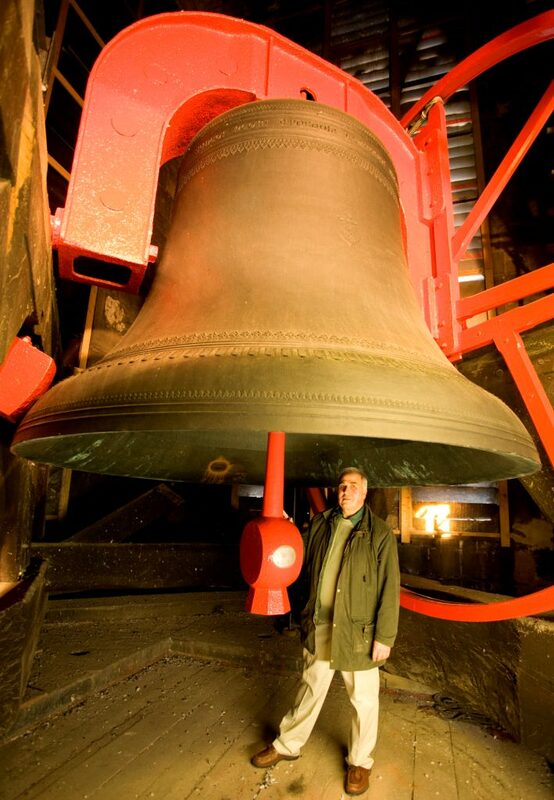 Some are small and others huge bourdon bells weighing many tons, but each one is precious to its community. 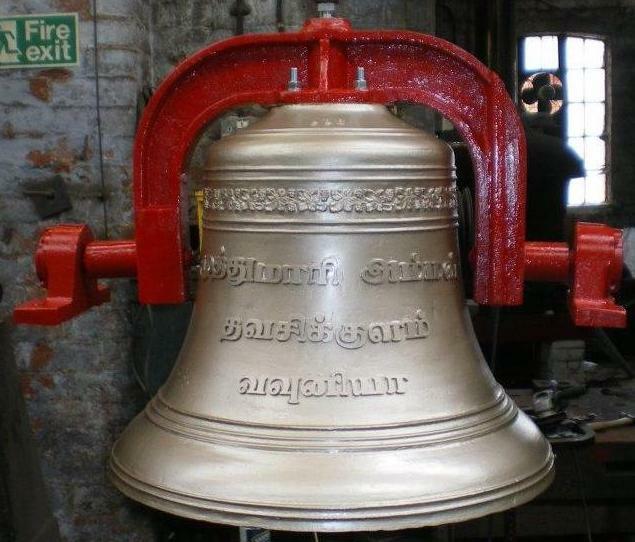 Taylors have cast more than 200 bells weighing over 2 tons - by far more than any other British Bell Founder. 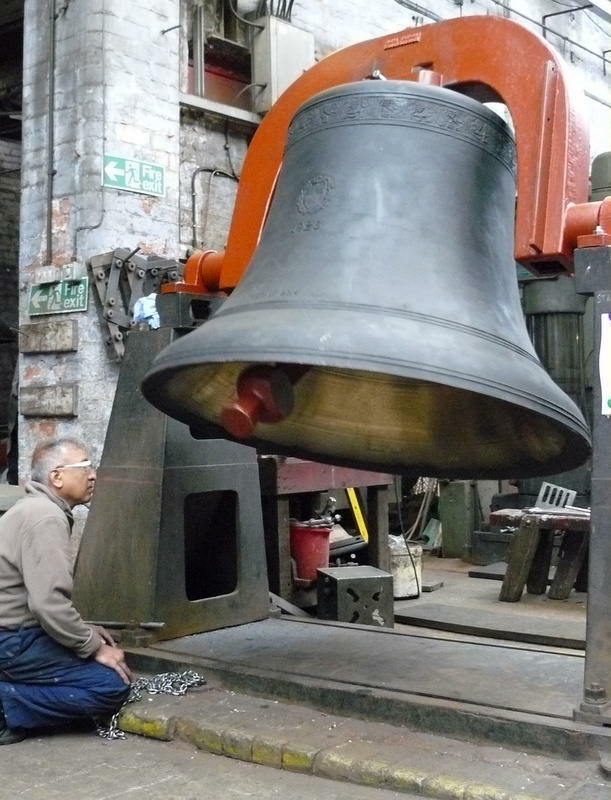 We have enough furnace capacity to cast massive bells, and to date we have cast many bells weighing more than 10 tons, and even one for St. Paul’s Cathedral in London which weighs a massive 17 tons. 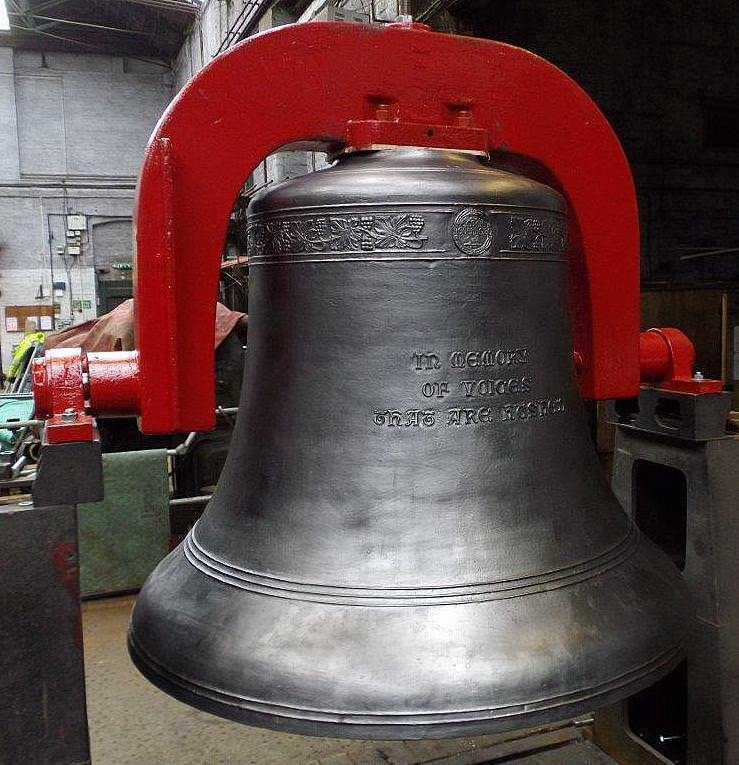 Bells from Taylor's Foundry ring out from towers in every part of the world and many thousands have been cast and installed. Trust our craftsmen with your commission - they won't let you down. Checking swing time and clappering on a new 2 ton bell for Harvard University cast in 2014. The new 2 ton bell for Harvard University polished and ready for dispatch. 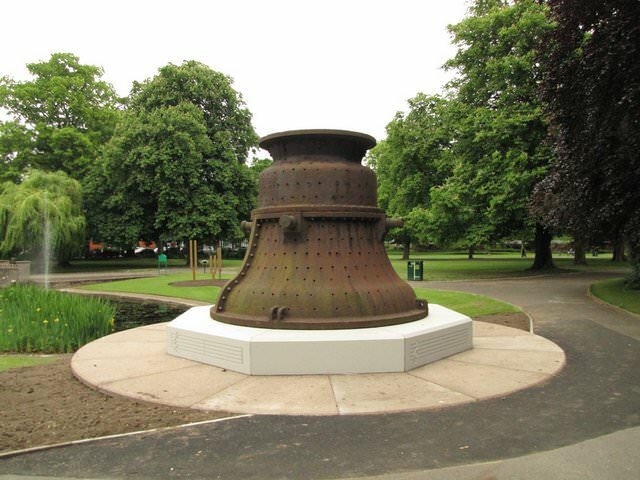 Great Paul's casting case now on display in Queen's Park, Loughborough. 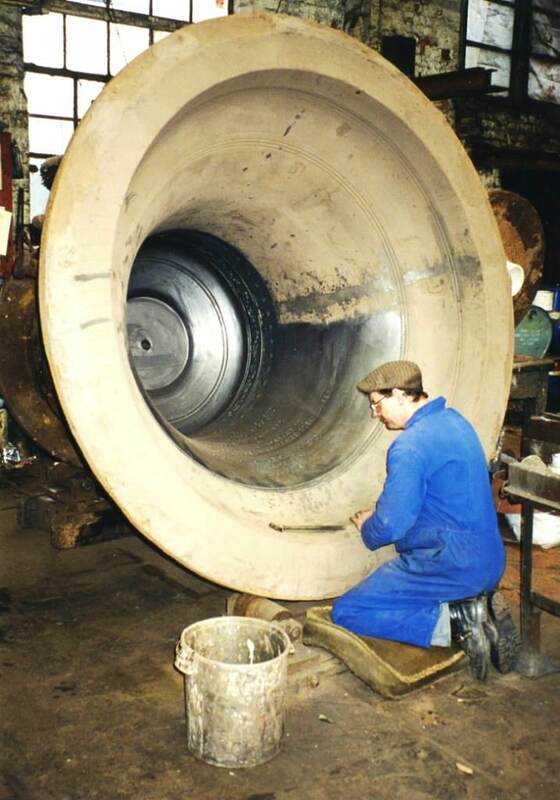 Preparing a mould for a 3 ton bell - the inscription has to be pressed in backwards while the loam is still soft. 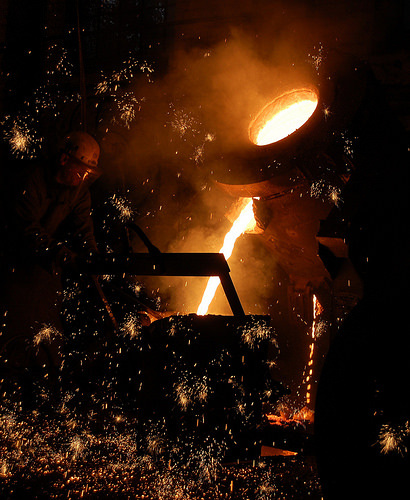 Preparing to cast a bell - metal pours from the furnace into a crucible. A Slow Swinging Bell for Sri Lanka. One of the many bourdon bells cast at Loughborough - and though it weighs nearly 11 tons it is so beautifully hung that it takes only one man to swing it.